After holding back his words for 7 months and even since the scandalous news of the breakdown of his marriage as a result of alleged indiscriminate cheating by his wife broke, Ghanaian comedian-Funny Face, real name Benson Nana Yaw Oduro Boateng has finally spoken exclusively to GhanaCelebrities.Com. Yesterday, GhanaCelebrities.Com published an interview with a close friend of Funny Face—in which the friend went all out, talking about the multiple chop down of Funny Face’s wife by several men and shockingly revealing that he had even slept with Funny Face’s wife-Elizabeth Nana Adjoa Ntim. Speaking to GhanaCelebrities.Com a few minutes ago over the phone, Funny Face said he has finally decide to break his silence because he is upset about his friend’s breach of confidence—saying, everything his friend said is true but he told him all of that in confidence and never expected him to mention it anywhere. During the interview, Funny Face stated that, he did not even know that this friend had slept with his wife before even though he is friends with 4 ex-boyfriends of the woman he married. He also commented on why he could not leave his wife even though she was clothed in unending cheating. 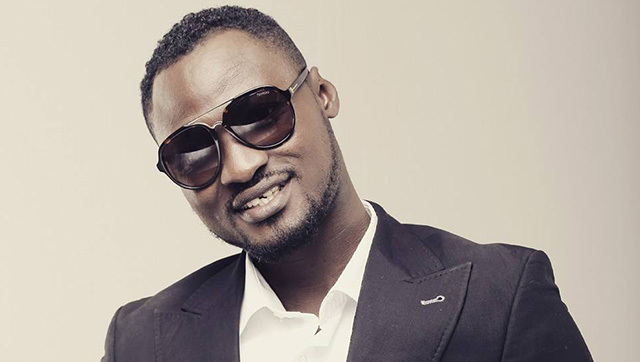 As to whether there is any chance of the two coming together to work things out, Funny Face confidently said he is done with the unhealthy marriage which almost caused him to commit suicide. However, he wished his wife well, adding that, he never intended to let the public know the sort of torment she put him through—knowing the sort of damage it would fetch. I don’t believe for a sec that Funny Face new nothing at all about his friend’s phone call to Chris. Some of us are that discerning wai. Funny face and his friend are both liars. He couldn’t do the dirty leaks so asked his boy to lol help to make him look innocent. Oh well, I pity that cheating wife. I understand wife is a cheat but they both adding a lot to tarnish her image. Men can be childish sometimes, all these are not necessary. The only thing he could have done was to zip his mouth and call it off. They both not saints anyways m.
Eiii funny face, so you won’t think about your brand; and you’re still talking. Marriage ceremony was private so why can’t divorce be private too. GHANA FIRE SERVICE ONLINE APPLICATION. Ghanaian Citizens interested in Saving Lives and Properties from the ravages of fire. i. Be a Ghanaian citizen by birth. ii. Be with no criminal record and of good character. iii. Be not less than 18 years of age and not more than 26 years of age for Non – Tradesmen, not more than 40 years for Drivers, and not more than 30 years for the Officer Corps. iv. Be physically and medically fit by Fire Service standards. v. Be of a minimum height of 1.73 Metres (5ft: 8 Inches) for males and 1.63 Metres (5ft: 4 Inches) for females. Core Mathematics or five (5) credits in the Ghana Education Service (GES) Intermediate Level Certificate, including English and Mathematics or ‘A’ Level / ‘O’ Level with credit in English and Mathematics. A minimum of First Degree or Higher National Diploma(HND) from an Accredited Tertiary Institution. Sale of e-Voucher at all Branches of the GCB Bank commences on Friday 8th July, 2016 and ends on Friday 29th July, 2016.